Tenant Spotlight - Downtown Dawgs | Gateway Commercial Brokerage, Inc. Downtown Dawgs is the newest tenant in Gateway Shopping Center, and we talked with owners Scott Dutton and his mother, Tina Boyles, about how bad luck turned into good fortune! You are a new tenant in the shopping center but an established restaurant in Decatur! You were previously located on Moulton Street, but had to move after the storms in April caused significant damage to the building you were in. Knowing you needed a new space, what criteria were you looking for in a new location? Easy access. Being very visible to the public. AMPLE PARKING! Parking was a problem at our old location, being located downtown. In truth, we had really outgrown that space. What made you choose this location for the new home of Downtown Dawgs? We looked at a few placed, but this was more centrally located and that's what we wanted. Was Gateway helpful in securing this location for you and your business? Yes. You did a complete remodel to this space after long-time tenant The Learning Tree left. How has that impacted your business: going from an existing set up at the old location, to your own personalized floorplan here? It took some investing on our part to turn it into what we wanted, but yes, it was a COMPLETE remodel. However, we are seeing a definitely return on that investment. Our sales are double from our other location, so that's always good news! What about this shopping center do you believe attracts both tenants and patrons? Being centrally located on 6th Avenue. And as far as food goes, there are plenty of places around us that draw people in, and we are glad to be a part of that selection, especially for a quick lunch or dinner. 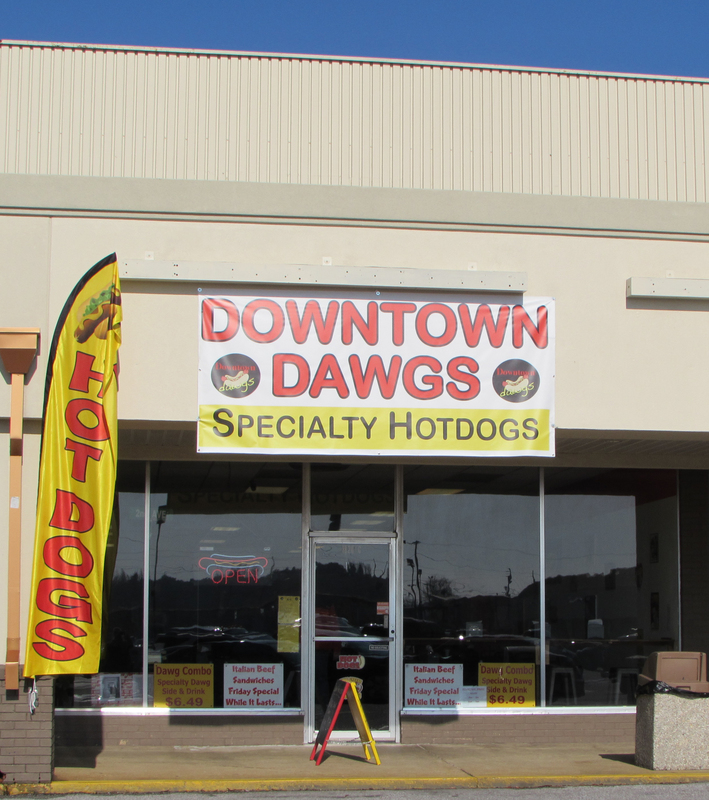 Downtown Dawgs is located in Gateway Shopping Center, 1820 6th Avenue, Unit C.